A renovation in France is a big commitment and should not be undertaken lightly. It is all too easy to fall in love with that gorgeous stone barn at the end of a country lane or that huge house that has been untouched for years and just oozes character and tradition. Property renovation, however, is a serious business, and you should not let your heart totally overrule your head. Is your renovation in France going to be a DIY project? If you are planning to do the work yourself during holidays and the odd weekend here and there, it is going to take you a long time and a lot of hard labour during what should be your 'fun' time. If you are going to be resident on site, are you prepared for the inevitable stress of 'living on the job'? Most importantly, do you have the necessary skills? 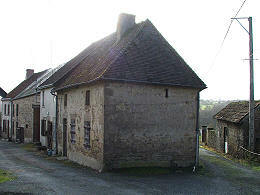 A poorly completed France renovation is not a good investment of your time or money. Even if you are an experienced renovator, do not expect things to be the same in France. Materials and regulations can be different to what you are used to. One difference you should definitely pay attention to is electrical wiring systems. Unlike the UK, the wiring in French houses is run on spurs from a distribution box. As you will have to provide an electrical report when you sell the house, it is best to get this right. If you are not intending to do the work yourself, choose your builder wisely. Personal recommendation is always best. Failing that, ask to see previous works that they have done and completed. And make sure that they are properly registered, by asking for their SIRET number. Unregistered builders will not be able to provide the necessary guarantees. If something goes wrong either during or after the works, who are you going to call? If the authorities find out that you have been using unregistered workers, you will be fined. Do not let your renovation in France land you with a criminal record! One of the commonest mistakes made by people doing a property renovation in France is underestimating the costs. 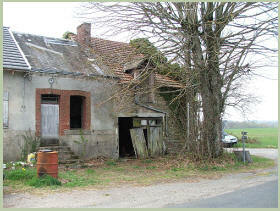 Do not confuse cheaper property prices in France with cheaper renovation costs. Your initial costs will consist of the purchase price, agency fees (usually included in the sale price) and notaire fees of about 8%-10% of the sale price. Unless you have renovated before, it will be very difficult for you to estimate the likely costs of your renovation project. At best, it will be a 'guessitimate'. When you find a property that you are seriously interested in, do as the French do and get a quote from a local builder. Some French builders will charge for this, but it is a good opportunity to see if they turn up at the appointed time and provide a quote reasonably quickly. If your French isn't very good, ask a registered English builder for a quote or take along someone who can translate. A professional builder will budget between 600€ and 1200€ per square metre for a renovation in France. This is quite a big variable as it depends on so many factors, eg the level of finish, whether or not there are works to do to the roof or walls, central heating system desired, etc. Whatever the quote, you should then add another 10%-15% as a contingency fund. Many rural properties will require a new septic tank installation. Costs vary depending on the system that is best suited both to your needs and the condition of the land. An initial consultation with a septic tank specialist will help to give you an idea of the cost and the procedures. Whilst working out the finances for the building works, don't forget to look ahead and consider the resale value of your renovated home. Even if you do not plan to sell it in the foreseeable future, it is still a good idea to keep in mind the sale prices of properties that are similar to yours after the works have been completed. If your initial costs and renovation costs exceed local sale prices and for some reason you have to sell, it would be at a loss. Unless this is your main home at the time of the sale, you will also be subject to Capital Gains Tax, a flat rate of 19% plus social charges of 15.5%. This gives a total of 34.5% and applies equally to all residents of the EU. Tapering relief is applied depending on how long you have owned the property with different durations for the tax and the social charges and no relief from either for the first five years. 1.65% per year from 6 to 21 years, 1.60% for year 22, and 9% for years 23 to 30. After 30 years, the property can be sold without any tax liability in France. Some of the costs of the renovation can be offset against the tax but only if the works have been done by registered tradespeople and invoices in the exact correct form can be produced. If you do the works yourself, you will not be able to claim anything. 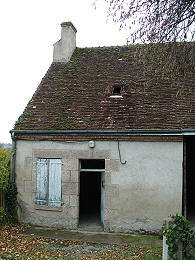 If your renovation in France is to sell on immediately, do your sums very carefully. Whilst it is still possible to do this and make a profit, your costs and the final product that you offer for sale should be planned in detail. A better idea in the current market might be to renovate and then let the property. You will have the benefit of the rental income and capital appreciation over time. 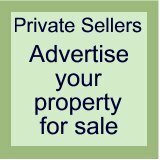 For more information about renting property in France, see Buy to Let. As a cash purchaser, you can buy whatever you want. If you are purchasing with a mortgage, you should investigate what is available as not all banks will lend on 'ruins'. With a basically habitable house, you will be able to borrow not only the initial purchase price but also the cost of the works to be done. 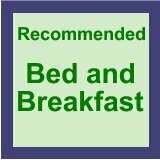 You should research this as early as possible to see what is on offer. See our article, French Mortgages for more information on mortgages in general and to see why buying with cash is not always the wisest thing to do. Whether or not you need planning permission for your renovation in France depends on what you are going to do. Planning permission is needed for all barn conversions. You should always ensure that the initial sales contract includes a conditional clause stating that the purchase is subject to receiving the necessary permission. Provided this is in the contract, you can withdraw from the sale without any financial penalty if your application is refused. The notaire will make the application on your behalf. Note that this is outline planning permission and you will also have to apply for building permission and provide more detailed plans later on. If you want to start the renovations immediately after completion then you should apply for the building permission during the sales process. Septic tanks - permission is required for the installation of new septic tanks. For interior works on an existing house, you do not need to apply for any permits unless a change of use is involved. If you intend to convert the loft or an outbuilding, you will have to declare the work. The use of an architect for a renovation in France is not obligatory unless the habitable space created will exceed 170m². This also applies if you are extending the existing habitable area. If you currently have 150m² and the conversion of your loft adds another 30m², an architect will have to be employed. For exterior work, you will need permission if you are going to change the appearance. This includes the colour and the use of different materials, for example if you want to put render on. You do not need permission for repairs or renewals. For example, you can renew the roof. If, however, you want to renew the roof and put in gable windows, you need a permit. 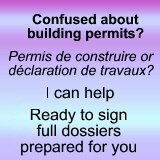 For more detailed information about French building permits, see our article Building in France. Applications for planning permission are dealt with, in the first instance, at the local mairie. If you are planning to do any works, even if you think you do not need a permit, ask at the mairie. They can tell you whether or not you have to ask permission or declare the works for your renovation n France. They can also provide all the necessary forms. They will also make you aware of any local restrictions or regulations. In spite of the best laid plans, it is not unusual for renovation works to take longer than anticipated. Hold-ups are almost inevitable in any renovation project. It is rare for any building works to go exactly to plan. And when you are doing a renovation in France, there are additional things to take into consideration. Don't forget the two hour lunch break. Whether that means your workmen downing tools or the local DIY store being closed just when you realise that you have run out of materials, it makes a difference. Also this is the country of the 35 hour week and most people will not do overtime just to get a job finished. Many businesses close for the whole of August, especially those in the building trade. In winter, it can be too cold to do some works. Be realistic. Don't expect everything to be done yesterday. In spite of their reputation, most French builders work very hard and to a good standard. English builders also have a good reputation in my local area. In fact, thier French clients have told me that they prefer the English tradesmen because they don't take a two hour lunch break! A full renovation project in France may be what you have set your heart on, but also have a look at properties that cost a bit more. A house without major works to do can actually be a better investment, and save you both time and money. 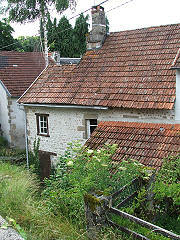 If this is your first go at property renovation in France, start small. There is nothing worse than taking on too much and finding that you do not have the necessary resources to complete it. Installing a new kitchen and bathroom, redecorating and repairing can transform a neglected home into something special and still allow you to put your own stamp on it. Extending the living space by converting the loft or an attached outbuilding will also add value. You can move on to something bigger with more confidence and the benefit of experience if you enjoy doing your first project. Renovating a property, whether it is a barn conversion or the transformation of an existing house, is both an emotional and financial investment. When done properly, there is no doubt that you will experience a wonderful feeling of achievement as you sit down for your first meal in the house that you have designed and built to your own specifications and with your own bare hands (it may feel like that even if you have employed a builder!). Properly planned and budgeted, your renovation in France is a success and you can settle down and enjoy your beautiful home. Or sell it on and do it all over again.